As an independent furniture dealer, we have access to many brands and styles from around the world. We can also keep it local, if that is your preference. Not being tied to one or two brands means we can provide you with unbiased advice about which pieces are best for you. Our team of furniture specialists have over 20 years’ experience in specifying, managing and installing furniture projects. When working with Ben Johnson Interiors, you will be assigned your own furniture consultant, who will work closely with you and our design team to source the most appropriate products that meet your aesthetic, functional and budget needs. 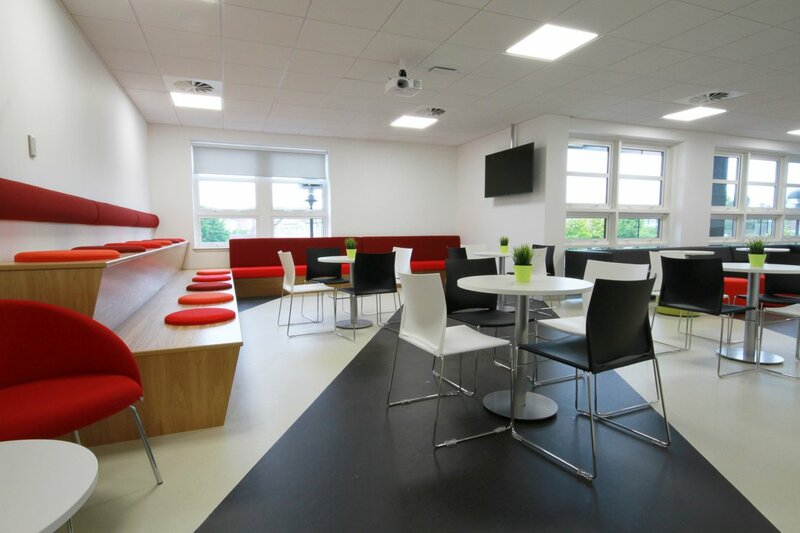 We can procure all your furniture needs such as desks, seating, storage and meeting tables. 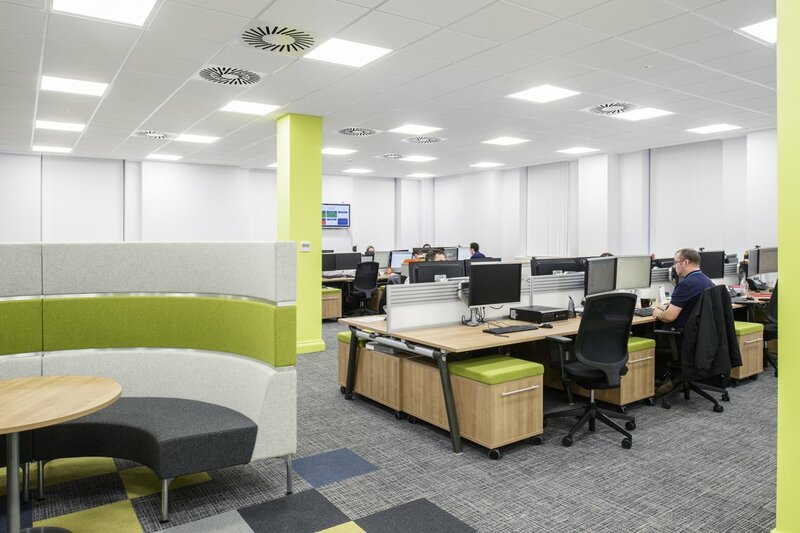 Not just for the office itself, but also for areas such as reception, office phone booths, flexible meeting rooms and board rooms. Acoustic pods, breakout areas and soft seating areas – all of which can promote wellbeing, agile working and productivity are also available. These areas can be branded and will be discussed with you at the design and layout stage. 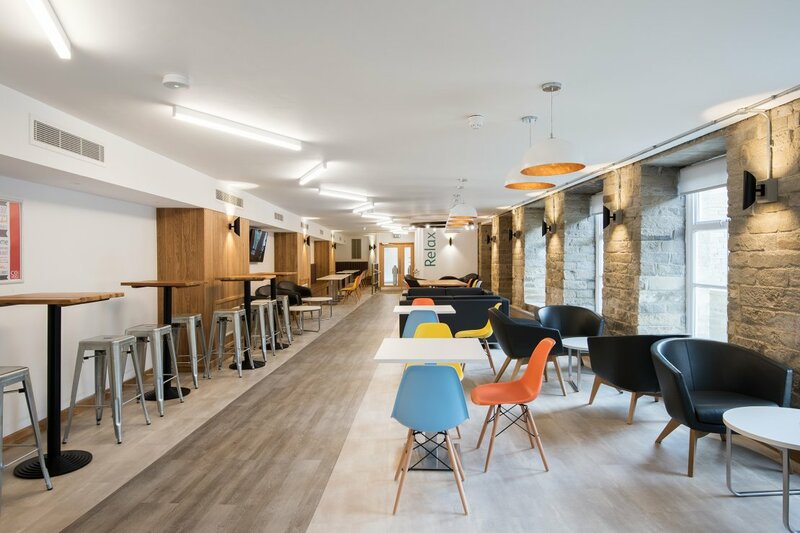 The installation of furniture is performed by the same Ben Johnson Interiors fit-out team and will be co-ordinated within the time frame agreed at the beginning of the project. We offer many ways for you to view our furniture, whether it be at one of our showrooms based at many locations or at previous projects. All our quotations have detailed images to make it clear what we are recommending, and where necessary, are supported by look and feel presentations and visuals. We can also offer you a visit to our manufacturer’s showrooms and factories. Your task chair is something you may need to spend a few days using and sitting in to ensure the best ergonomic comfort. We therefore offer a sample service for any of our proposed task chairs as we find this a great way for you to engage your employees and let them feel involved in the process. At the design and planning stage, the use of technology will be discussed. Your needs will be incorporated into the layout. This includes all wiring, wall and floor sockets, air conditioning, even making sure the wall is strong enough for that wall mounted screen in the plan. 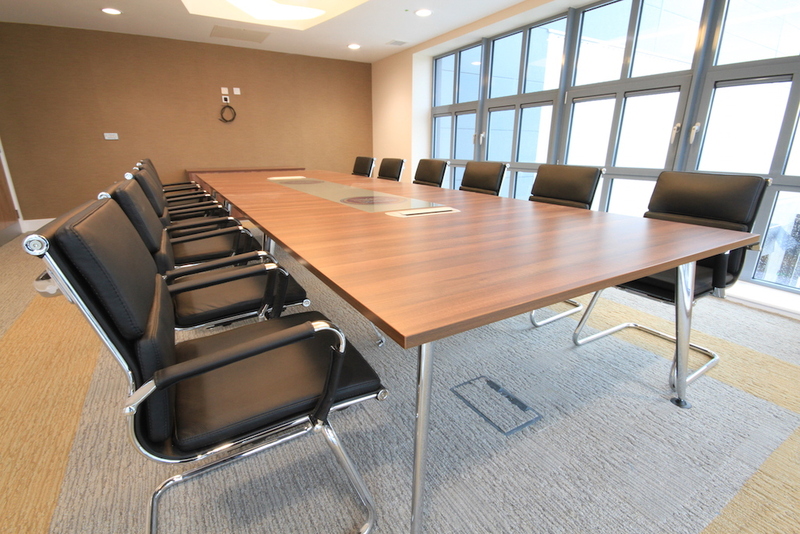 This also includes furniture with integrated ports such as meeting tables with power, HDMI and data connections. Once installed, our team can provide user training to ensure that everyone understands how to use the products and help your office transition run smoothly. You will also be introduced to the Ben Johnson product after-care team so that any additional top-up orders or adaptions can be taken care of.